Don't trust your kids. Like a miniature, juice-fueled army with subliminal messaging tactics, they can get inside your mind and make you do things. You won't realize what's happening until you step out of your low-flow shower one morning, turn the calendar page, and see a smug endangered trout looking back at you. Though we usually think of education flowing down from parents and teachers to children, some people would prefer it to go upstream too. Environmental educators, for example, may hope when they teach groups of children about recycling or saving energy that they'll go home and impose new habits on their parents. In the Seychelles, an archipelago nation in the Indian Ocean, preserving the wetlands is a major concern. An NGO called Wildlife Clubs Seychelles runs extracurricular "wildlife clubs" in the schools; these groups organize projects and go on field trips to learn about the environment. Researchers from Imperial College London took advantage of the widespread clubs to find out whether environmental education can travel against the current. During the year before the study, certain wildlife clubs had taught a unit on wetlands while others studied something else. Lead author Peter Damerell and his colleagues studied 7 wildlife clubs that had done the wetlands unit and 8 that hadn't, with kids in the groups ranging from age 7 to 15. The researchers distributed a questionnaire for kids to fill out in school. A second set of questionnaires went home to the kids' parents. The forms included questions to test wetland knowledge as well as questions about how people used water in their homes. When the questionnaires came back, there were 137 complete parent-child pairs in the batch. Kids who had participated in a wetland unit scored better on questions about wetland knowledge (what kinds of species live in local wetlands, what threatens these habitats, and so on). More surprisingly, the authors report in Environmental Research Letters, the kids' knowledge had rubbed off on their parents. 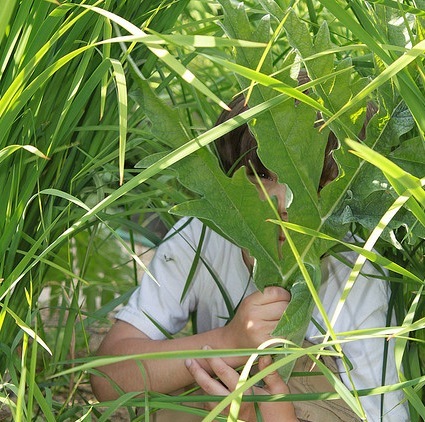 Moms and dads of wetland-educated kids outscored parents of kids who hadn't studied wetlands. The questionnaires also asked parents point-blank whether they'd learned anything about wetlands from their children. Their answers, it turned out, were totally unrelated to their actual scores. Even when kids had taught their parents something, parents didn't necessarily know it. Since scores didn't increase with children's ages, Damerell and his coauthors don't think regular classroom time did the trick. The wildlife clubs' field trips and outdoor projects may have been just exciting enough to make a real impression on kids—and to get them talking about their fun swamp adventures with their parents. Er, indoctrinating them. When I did a sustainable food systems unit last year with my high school biology students, several of them told me that it changed the way their parents shopped for food. One student returned to me this year to say that I was "in her head every time she ate." I call that a success!